If you’re one of the 36 million Americans who experience migraines, you know how intensely painful they are. 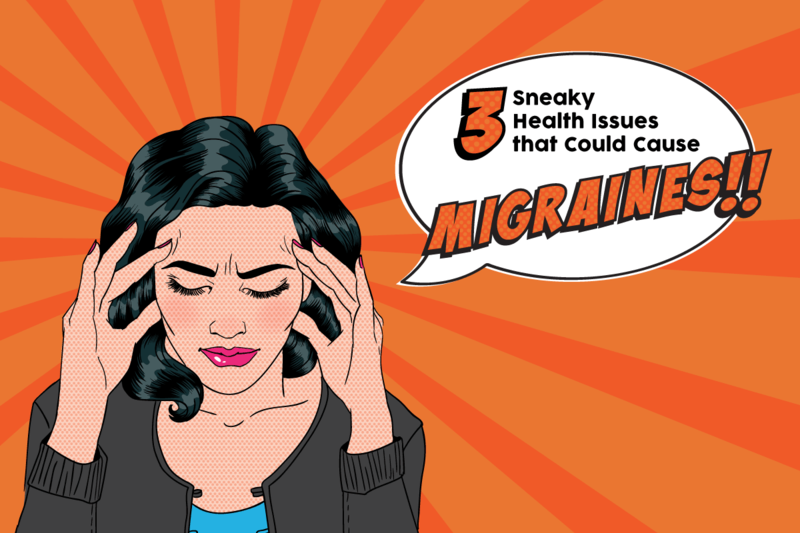 The causes of a migraine may differ from person to person, but if you notice that yours follow a pattern, they may be giving you useful clues about your overall health. Migraine symptoms can include throbbing pain on one or both sides of the head, nausea, vomiting, dizziness, fatigue and sensitivity to light. Symptoms can last up to a few days, and can be so severe that some people are forced to stay in bed. People can get migraines at any age, with some beginning to experience them during childhood or adolescence. Migraines can also run in families, and women are three times more likely than males to experience them. If you notice that you develop migraines after eating certain foods, you may have food sensitivity or allergy. Some common migraine triggers are wheat, dairy, nuts and citrus fruits. If you think a certain food might be causing your migraines, try temporarily not eating it for a couple of weeks and see how you feel. You can also schedule an appointment for an allergy test to see how your body responds to certain foods. Changes in hormones can also contribute to migraine headaches. Some women experience the symptoms just before or during their periods or menopause. If you notice your migraines follow a pattern, mention this to your doctor. He or she can check the balance of common hormones like estrogen and progesterone and your thyroid levels to rule out any problems. Stress comes in many forms, from emotional (such as coping with a difficult relationship) to physical (lack of sleep). It correlates with many illnesses and symptoms, including migraine headaches. If you reflect back on your history of migraines, you might realize that many of your headaches started during or after a bout of intense stress. Treatments for stress-induced migraines include activities such as deep breathing, exercise, time management, reducing contact with challenging friends, and changing careers. Even if you have suffered from migraines for a long time, you can still find relief. Make an appointment with a doctor who is experienced in treating migraine headaches. Before your appointment, create a journal of your migraine history, jotting down a brief overview of your recent migraines—how long they lasted, the symptoms you experienced and any other relevant details that you’d like to share with you’re your doctor.